If there’s anyone we can ignore alliteration for, it’s Kirby, right? At least Devil Dinosaur’s got us covered. 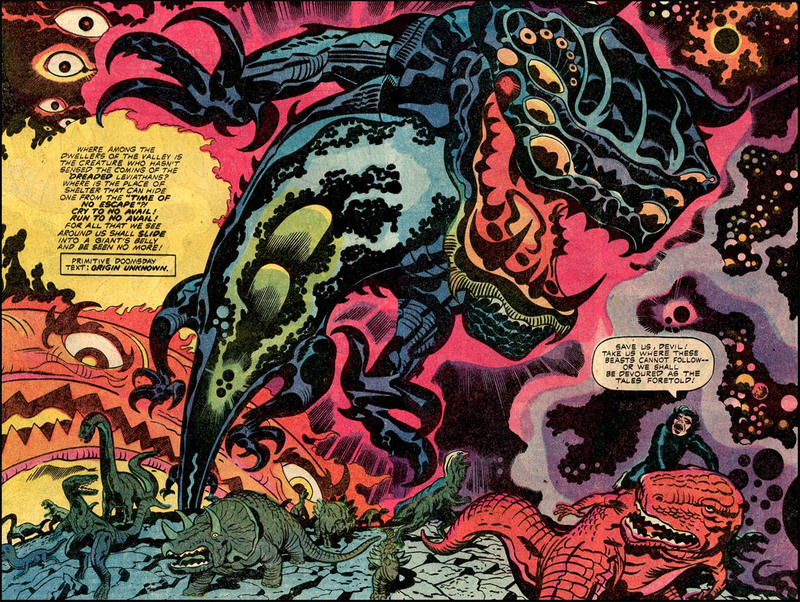 This entry was posted in Art Appreciation and tagged devil dinosaur, Jack Kirby, masters. Bookmark the permalink. This is an awesome Jack Kirby panel! Where is it from and do you know who inked and who colored it, if not Jack?